9ct Gold White Freshwater Baroque Pearl Earrings 10-10.5mm - Artistic chunky and modern. For that dramatic, dynamic look. 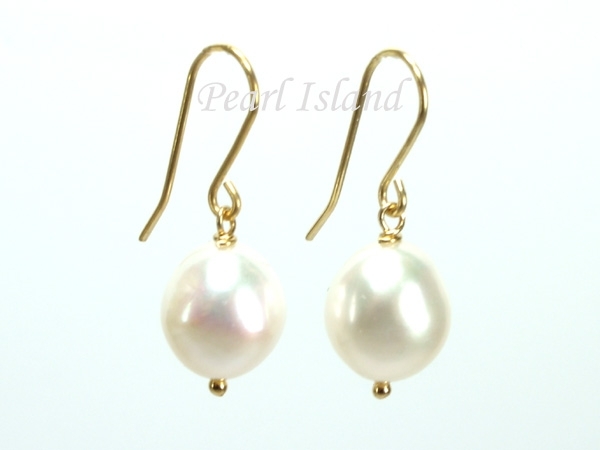 These are good quality genuine freshwater baroque pearls with 9ct yellow gold earring hooks. 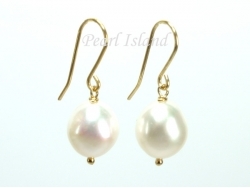 Baroque pearls have an irregular non-spherical shape. Each pearl is unique, which adds to their charm.